Nokia is expected to unveil its first Windows Phone device tomorrow at Nokia World 2011 which takes place in London, one of the devices that we have been hearing a lot about is the Nokia 800, which is rumored to share a similar design to the Nokia N9. We have already seen a leaked press photo of the Nokia 800, and now the guys over at The Next Web have got their hands on some actual photos of the new Nokia 800. 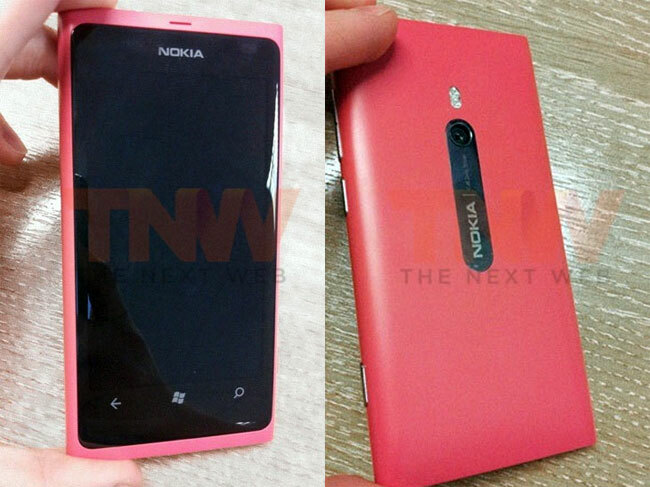 The Nokia 800 is rumored to feature a 3.7 inch multi-touch touchscreen display, and is also reported to come in a range of colors, which include pink, blue and black. The Nokia 800 will come with Windows Phone 7.5 Mango, yesterday we saw a teaser video of the Nokia 800, as soon as we get some actual details on the specifications we will let you guys know.